Ask any Englishman worth his salt and he will tell you that the English way of life is incomplete without a bit of betting and gambling. And when it comes to the English way of life, there is no other town that is a better representative than Wigan. When it comes to gambling, the people here view it with a different perspective than the rest of the world. It is not seen so much as an activity to lose or make some serious money, but more of a social platform where you can interact with one another and share a good laugh or two as you indulge in your favourite slots and table games. This attitude can be a bit surprising for the tourists who visit Wigan, but when they indulge in the casinos here, they feel it is an experience they cannot have anywhere else. Do not be surprised if you see the dealer address the player by their first name or ask about their families! The town has its roots in industry and mining. They may not have the blockbuster casinos that you may find in other parts of the country, but what they have instead is an intimate, personal experience. Case in point, the Gala Bingo. Now the game of bingo may present the image of being an old-school game, but when you play a round at Gala Bingo, you realize how exciting and fun it can be. Not to mention nerve-wracking. You may have to wait and wait just to get the final number on your ticket and claim your prize. The only way to do so is to shout it out loud, adding to the fun and frolic. The vibe present at the Gala Bingo verges more on bonhomie and camaraderie than on winning. This makes it a perfect spot for tourists to get a feel of the town’s locals. You may even end up making friends from within the community. 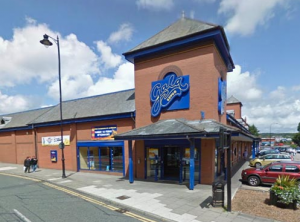 Situated close to the iconic DW Stadium, Gala Bingo offers a gateway into Wigan’s other grand offerings, which are all situated just a walk away. You could start the evening by playing a round, then just stroll out and visit other tourist spots. All in a day’s work or play. If you are not in the mood to visit the establishment, you can simply log on to their website and indulge in your favourite games. 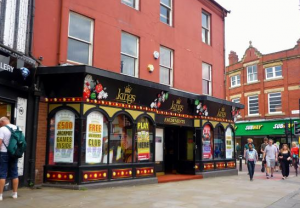 The other casino that is a proud part of the Wigan landscape is Kings Amusements. Now this is the real deal as far as satiating your gambling and betting habits are concerned. And the best part is that there are two branches located within the heart of the town. Both of them exhibit a warm, comfortable environment where you can play your favourite slot games. The staff are friendly and will make you feel as if you are a part of the casino rather than a visiting guest. Kings Amusements has an ambiance that is colourful and lively, without being too loud and exaggerated. Here you will find a wide variety of slot games to keep you entertained, right from the classic, retro fruit slots to the more modern choices. There’s something for everyone. And there’s more. Kings Amusements regularly run in-house promotions. All you have to do is register your mobile number with one of the staff members or simply visit the establishment. They run special offers on a daily basis. One more reason to visit one of the most happening casinos in Wigan.